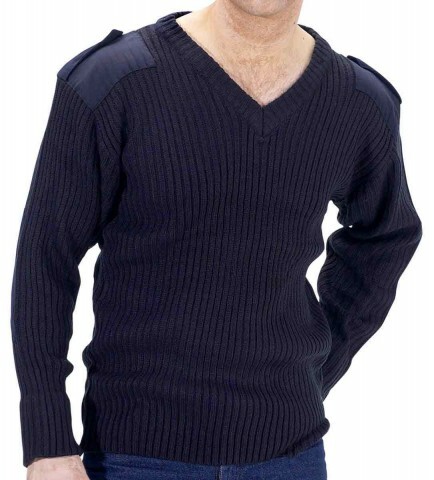 A rib knit acrylic security pullover in a military style. 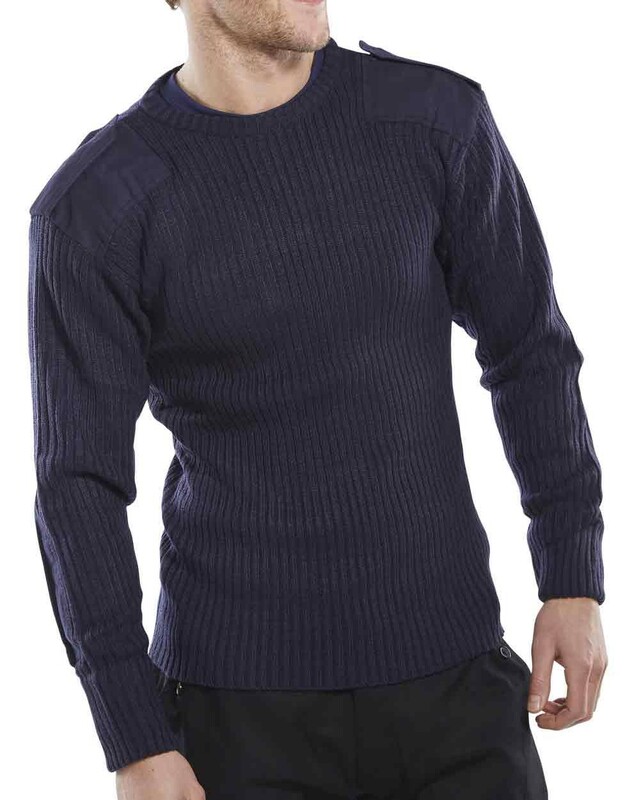 The Click Military Style Security Sweater is constructed from 100% Acrylic rib knit sweater. Reinforced elbows and shoulders. Double cuffs. Crew Neck. 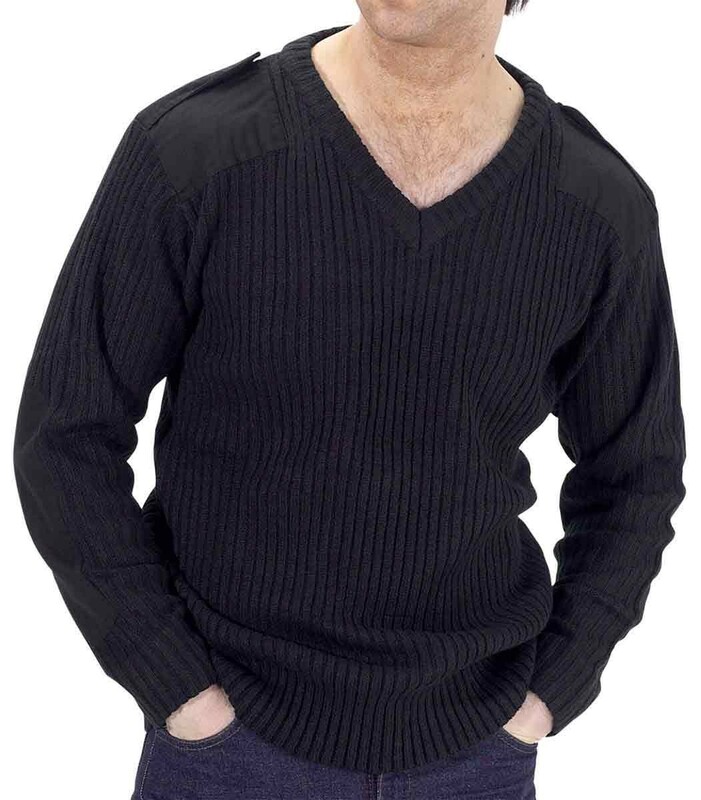 S fits 36 - 38"chest,M fits 38"-40",L fits 42"-44",XL fits 46"-48",XXL fits 50"-52",XXXL fits 54"-56"